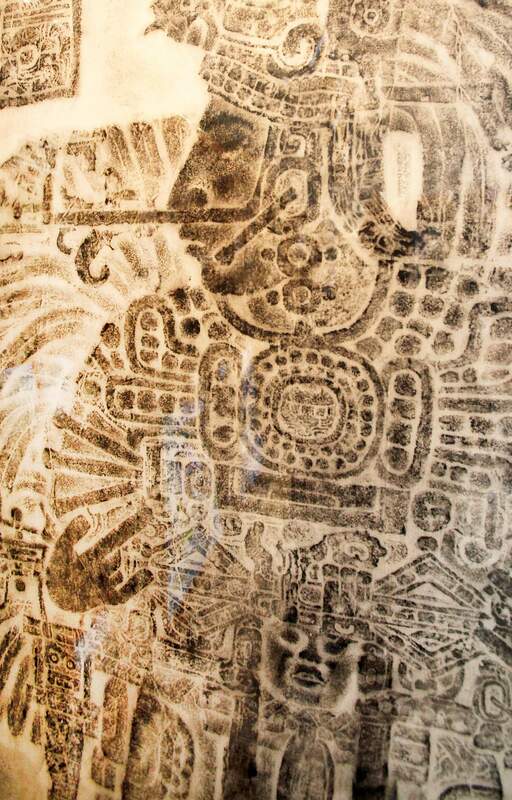 A photograph of a rubbing of Tikal, the Mayan corn god, hangs in the lobby of The Durango Herald. The rubbing was found in the spring of 1965 by then-Herald publishers Morley and Arthur Ballantine in the studio of Dale Nichols in Antigua, Guatemala. The end of the Mayan calendar on Friday is believed by some to foretell the end of the world. Southwest Colorado probably cannot be blamed for the end of the world, which many fear could happen Friday with a planetary crack-up or a rogue planet smashing into the Earth, but the basis for such theories about the 2012 Mayan apocalypse started with training that archaeologists received excavating local cliff dwellings and pueblo ruins. One such legendary archaeologist and Mayanist was Sylvanus G. Morley, who also is believed to be an inspiration for Indiana Jones. He got his professional start surveying the pueblo ruins at Cannonball Mesa in McElmo Canyon before going off to excavate Chichen Itza in Yucatan, Mexico, doing much work to bring pre-Columbian Mayan culture to a mainstream audience. Morley, who excavated Cannonball in 1907-08, was a contemporary of other famous archaeologists, such as Alfred Kidder, who became an authority on Southwest archaeology and excavated Pecos National Monument in northern New Mexico, and Jerry Fewkes, who helped establish Mesa Verde National Park. All got a lot of practice out on Cannonball Mesa, said Vince MacMillan, an archaeologist at Canyons of the Ancients National Monument in Dolores. Morley and Kidder were both recent Harvard graduates who surveyed Cannonball Mesa, now a part of Canyons of the Ancients, in response to a request from Edgar Lee Hewett, who established the School of American Archaeology in Santa Fe, known today as the School of Advanced Research. Morley, who had lived in Buena Vista and Colorado Springs, likely passed through Durango on the train to Mancos, MacMillan said. There was no train to Cortez. They traveled the rest of the way by horse to Cannonball Mesa, where there are pueblo ruins atop and along the rim of the mesa, an area close to Bluff, Utah. The area still is popular for sightseeing and still difficult to reach because it is on the other side of private property, MacMillan said. From his work at Cannonball and professional contacts made in the Four Corners, Morley then won a competitive grant from the Carnegie Institute to excavate Chichen Itza and other pyramid cities in Mexico and Central America. He published books about Mayan hieroglyphics, doing much to transcribe the Mayan language, MacMillan said. While in Central America and the Yucatan, Morley spied on German naval activity there during World War I. Such exploits helped establish the archetype of the adventurer archaeologist that became the basis for the Indiana Jones movies. But MacMillan said Morley would not fit the conventional stereotype of todays action-movie heroes. Morley probably was recruited as a spy as a younger member of this old-boy network off exploring the world. Theyre tied to people at the State Department, through family, Harvard, MacMillan said. Just as real-life archaeologists differ from their movie portrayals, archaeologists also take a different view of the Mayan apocalypse. Rather than foretelling doom, archaeologists and Mayan researchers believe Fridays significance is more about resetting the Mayan calendar because the date represents the end of a Mayan century. MacMillan, who stipulates that he is not a Mayan expert, thinks the Mayans decided to end their century around a significant event such as the winter solstice. As further refutation of end-of-the-world views, experts also say the Mayans did not have an apocalyptic culture or anticipate an end time. Instead, they viewed time as cyclical. There also is a cyclical quality to Morleys effect on Southwest Colorado. When Morley surveyed and excavated the ruins at Cannonball Mesa, it was the first archaeological work permitted under the Antiquities Act, which was passed a year earlier by Congress in 1906. 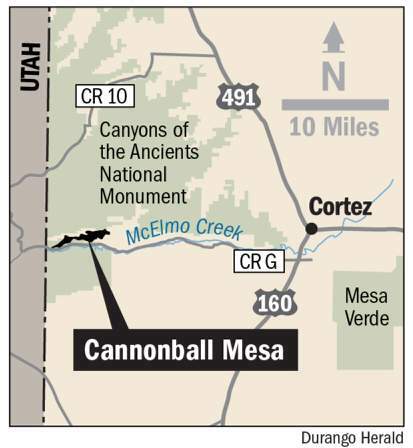 Almost 100 years later, President Bill Clinton used the authority of the same Antiquities Act to declare Cannonball Mesa and McElmo a national monument  Canyons of the Ancients. So (Morleys work) came full circle, MacMillan said. Coincidentally, in 1965, a tourist from Durango named Morley Ballantine and her husband, Arthur Ballantine, went on vacation to northern Guatemala. They brought home a rare rubbing of Tikal, the corn god of the Mayans. The Ballantines were publishers of The Durango Herald. Today, Richard Ballantine, their son, is publisher. The image was rubbed from an ancient stone depiction of Tikal. Such rub drawings no longer are allowed, but this drawing can be found today in the front lobby of the Herald.